The case of Nazanin Zaghari-Ratcliffe has been all over the media. So who is Nazanin, and why should she be freed from prison? Here’s what you need to know. Nazanin Zaghari-Ratcliffe is a 38-year-old British-Iranian woman who ordinarily lives with her husband and toddler daughter in London. Right now, she is in an Iranian prison, separated from her young family. In Spring 2016, Nazanin took her daughter Gabriella to Iran to visit her parents – Gabriella’s grandparents. Nazanin had made the trip many times before without any problems. But this time, she was arrested at the airport as she was about to board the plane home to the UK. She wasn’t told why. Nazanin’s daughter, Gabriella, is being looked after by her grandparents in Iran. She was handed to them when Nazanin was arrested, over a year and a half ago now. Nazanin wasn’t allowed to see her daughter for her first few weeks of imprisonment, then when visits were allowed, they were very limited and at short notice. Now, Gabriella is allowed to visit her mum in prison – but only twice a week. 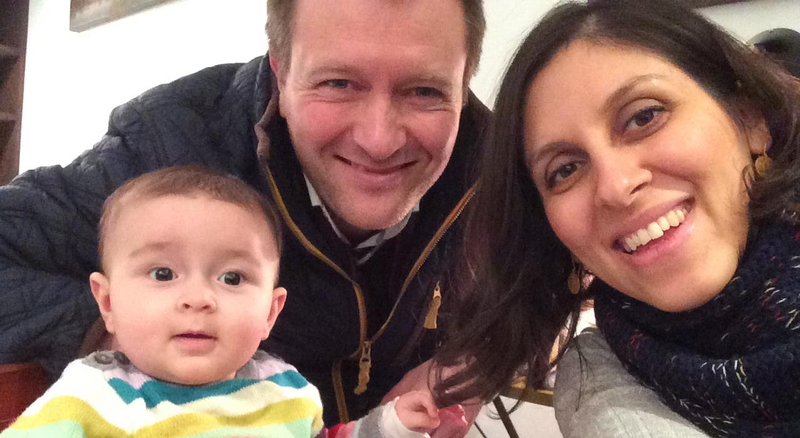 Richard Ratcliffe, Nazanin’s husband, was not on holiday with them and has campaigned from the UK for his wife’s release. He has not seen Gabriella or Nazanin for 20 months now. Both Nazanin and Richard speak of the pain of missing their only child grow up. Nazanin is serving a five-year prison sentence for false charges of ‘membership of an illegal group’. This is apparently in relation to her work for the Thomson Reuters Foundation, a UK-based media charity, where she was working as a project manager when she was arrested. There is no evidence that Nazanin has done anything wrong – her job is in no way illegal! She was found guilty of these charges at a trial in September 2016. The trial didn’t meet international standards for a fair trial, and Nazanin wasn’t allowed to see a lawyer until three days before she went to court. 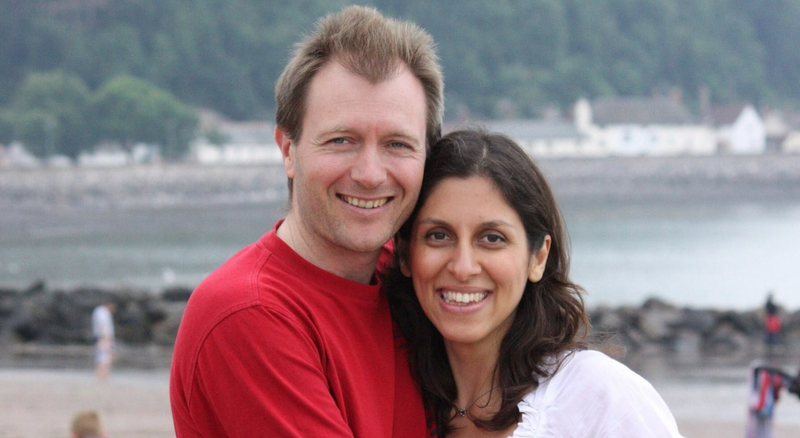 Her husband says that Nazanin has never officially told what she’s been charged with. Nazanin has been told that she will appear before court on 10 December 2017. Her husband says that she is facing new charges of ‘propaganda against the Iranian system’. If true, these charges are as ridiculous and unsubstantiated as the first ones. The fear is that Nazanin could face an even longer prison sentence than the one she is already serving. When she was first arrested last year, Nazanin was put in solitary confinement for 45 days. She was alone, without any idea of why she’d even been arrested and separated from her family. Unfortunately, this is common in Iran. Nazanin, like many prisoners who experience solitary confinement, is suffering from the effects. A prison psychiatrist reported that she has post-traumatic stress disorder and experiences severe anxiety in small or dark places. Nazanin has severe depression, according to a recent psychiatric report, which detailed how she has experienced suicidal thoughts for over a year. She wrote suicidal letters to her family last October, and her mental anguish has only continued in the year since. She isn't being given the care or treatment she needs to help her with this. Earlier this year, Nazanin suffered from severe arm, neck and back pain as a result of her prison conditions, and was denied the healthcare she needed for a long time. Her hair was falling out and she has lost a lot of weight. She was recently worried about lumps on her breast, but has been given treatment, which she has responded well too – and has been told the lumps are not cancerous. Some rare good news. The UK government has called for Nazanin’s freedom, and Foreign Secretary Boris Johnson has said he’ll do all he can to secure her release. Now we need the Iranian authorities to let Nazanin return home to the UK and be reunited with her family. 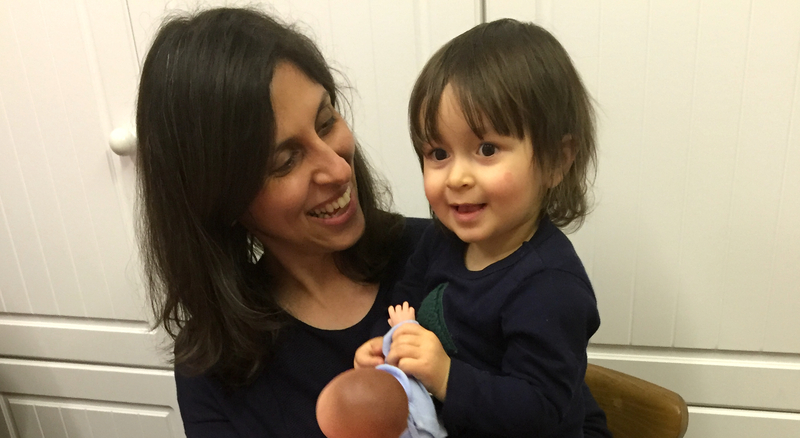 We are calling for Nazanin’s immediate and unconditional release, as she hasn’t done anything wrong. Please help us get Nazanin home. We know that the Iranian authorities notice the huge volumes of support for Nazanin’s freedom from people all around the world, and that they respond to publicity on social media. Please keep posting the petition on your social media channels, and show the Iranian authorities how many people are calling for Nazanin’s freedom.